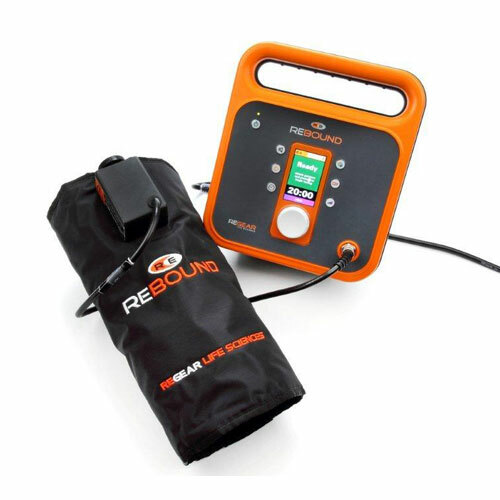 ReBound® is a therapeutic heating system that delivers deep heat to tissues. Available by prescription or in a clinical setting, ReBound promotes pain relief, reduces joint stiffness and helps decrease muscle spasms. ReBound has been used successfully to treat injured athletes, older adults who want to improve their mobility and strength, and individuals who suffer from chronic pain. ReBound technology has been cleared by the FDA. The benefits of a treatment with ReBound last three times longer than an ultrasound treatment or hot packs, and you don’t have to wear it during physical activity. Instead, use ReBound for 20 minutes before stretching or exercising for greater – and longer-lasting – results than provided by either heating pads or patches. The ReBound System is made up of 2 components: a ReGenerator and therapy garments. The ReGenerator is a simple to use, radio-frequency control unit that operates at 13.56 MHz, delivers up to 35 watts of power and weighs less than four pounds. At full power, the recipient can be in the therapeutic heating range in approximately eight minutes. The therapy garments are comfortable and anatomically designed to deliver an electromagnetic field deep into tissues to generate therapeutic heating below the skin’s surface. With 11 different therapy garments to choose from, the ReBound System can be customized to fit your needs. To learn more about ReBound, call 412-257-2800, or visit the Rebound References Page. 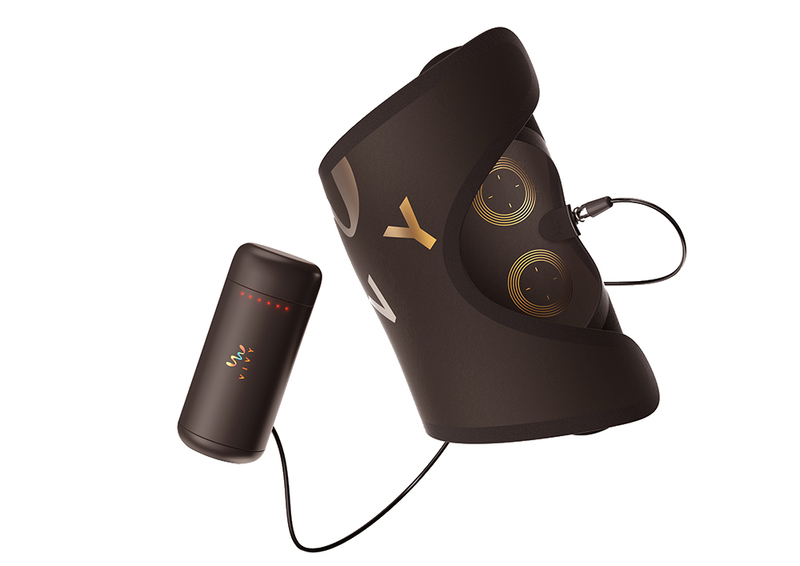 ReBound BOOST™ from Viatherm Therapeutics, LLC, is a deep-heat therapy system that uses a low-powered radio frequency generator, a rechargeable battery power supply, and an anatomically designed garment to deliver even, gentle warming to injured tissues. What makes BOOST different is its compact design, which is highly portable and can be used anywhere. An adjustable wrap with induction heating coils delivers deep heat and relief where and when you need it. BOOST is intended to generate heat within the body’s tissues to help treat muscle spasms and joint contractures. It can help users manage pain associated with chronic conditions, aging and injury. Its simple controls make it easy to use, and BOOST automatically shuts off at the end of a treatment session. 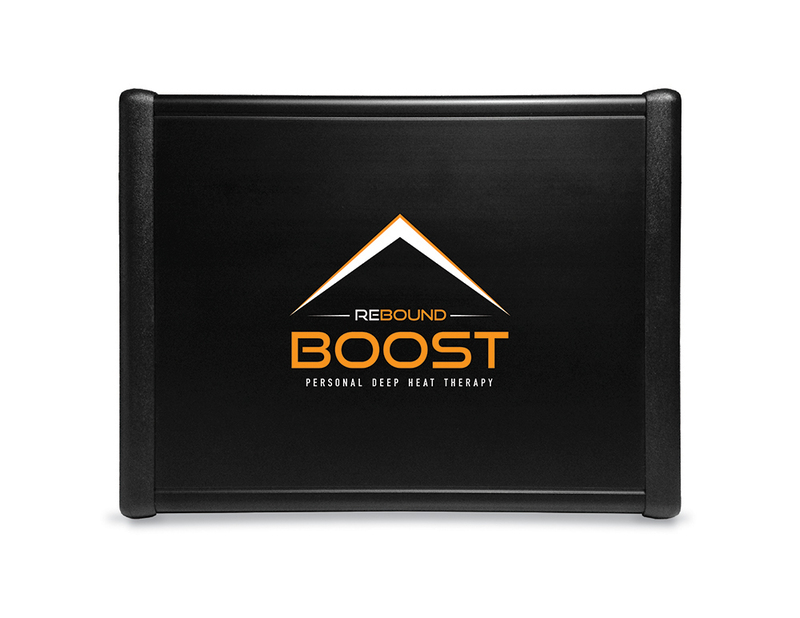 BOOST also has uses beyond pain relief. Its deep heat can help improve mobility by keeping muscles flexible, which in turn can help prevent injuries For athletes, BOOST can be used effectively before and after workouts to warm up cold muscles or loosen tight muscles. With its refined design, BOOST takes the previously cumbersome application of diathermy and makes it convenient, easy-to-use and portable, without compromising safety or effectiveness. BOOST is an investigational device and is not yet available for sale in the US. VIVY™ has been designed and engineered to be the world’s first consumer pain management product to use the deep heating powers of diathermy. Small enough to carry anywhere and offering a variety of interchangeable heating garments, VIVY will be a convenient companion at home, the gym, on vacations, or business trips. With the smartphone app, VIVY is like having access to a physical therapist whenever you need. VIVY is an investigational device and is not yet available for sale in the US. Visit vivyheats.com for more information.